A traditional charge card, the Business Green Rewards Card has no interest rates, so you save money compared to cards with which you carry a month-to-month balance. With the Business Green Rewards Card from American Express, the balance must be paid in full by the due date each month, so there's no temptation to let a balance slide from one month to the next (accruing interest along the way). The card also comes with the ability to earn membership rewards that can be used toward business expenses whether it's for travel, purchasing gift cards for clients, dining out or simply shopping for office supplies and more at various retailers. You can also get cards for your employees, making it easier to stay on top of how much your employees are spending while also earning more rewards for your business. New card ownership also comes with a welcome bonus offer allowing new cardholders to earn 5,000 Membership Rewards® points after making a qualifying purchase in the first year of card membership. Additionally, you'll earn one point for each dollar spent on qualifying purchases and two points for each dollar spent when booking travel on the American Express Travel website. No introductory annual fee the first year. After that it's $95 annually. See Rates and Fees. No annual fee for each employee Business Green Rewards Card from American Express. Purchases can be protected from accidental damage or theft for up to 90 days from the time you purchase. Car rental loss and damage insurance is included if you use your card to reserve and pay for a car rental and decline the collision damage waiver at the rental car counter. With the card's baggage insurance plan, eligible lost, damaged or stolen baggage is covered when your plane, train, ship or bus ticket is purchased on your card. Card ownership also offers travel accident insurance, roadside assistance and extended warranties. Since it's a charge card, not a credit card, you'll be responsible for paying off your balance each billing cycle with no temptation to carry an interest-accruing balance. Earn points with everyday purchases and redeem your rewards for travel, gift cards or even to pay for business expenses. No pre-set credit limit means you have the flexibility to make the purchases you need to make. The limit adjusts based on how you use the card and other factors. With a $95 annual fee, you should be certain you'll use the perks and features of this card. Otherwise, you may want to look for a business card with a lower or even no annual fee. Besides those 5,000 bonus points just for making your first qualifying purchase in the first year of card ownership, the Business Green Rewards Card from American Express has a few things our editors really like. 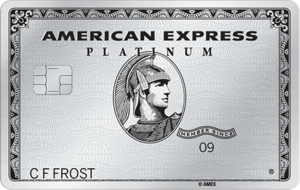 While a charge card like the Business Green Rewards Card from American Express is paid in full each month to help the card owner who doesn't quite trust themselves or their employees to spend responsibly, or simply want to keep their costs down, there is the Pay Over Time feature for some purchases. The Business Green Rewards Card from American Express allows eligible cardholders to enroll this Pay Over Time program to allow certain purchases to be paid over a certain length of time. With this option, on certain purchases you can pay over a certain length of time, choosing to carry a balance. You will accrue interest on these purchases, but it's certainly helpful if you are making a big ticket purchase for your business with this card and just can't quite pay it off in the same month as the purchase. 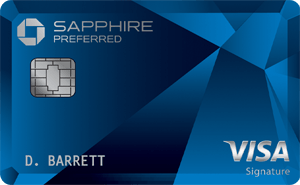 The card also offers a Pay with Points option when making purchases through American Express Travel to a Membership Rewards® program-enrolled American Express® Card. While purchases like car reservations, non-prepaid hotels and fine hotel and resorts bookings are excluded, the rest is fair game. Those accrued points you have will just be debited from your Membership Rewards® account and credited for the corresponding dollar amount which will be issued to your credit card. If you travel often for business, the Business Green Rewards Card from American Express provides a lot of extra assistance when traveling, which we like, from protection on lost and stolen baggage, to rental car insurance and its Global Assist hotline when traveling more than 100 miles from home giving you 24/7 access to medical, legal and financial assistance, as well as assistance wiring cash, replacing a lost or stolen passport and more. Plus, you won't pay any foreign transaction fees when traveling abroad. Spending those Membership Rewards® points isn't particularly straightforward. According to American Express, the value of your Membership Rewards® points varies based on how you use them. Meaning, the number of points required for an item may vary depending on the merchant offering the item and which redemption channel you choose. Points are redeemed through various channels funneling through American Express Membership Rewards®. The Bank of America® Business Advantage Cash Rewards Mastercard® credit card isn't a charge card like the Business Green Rewards Card from American Express, and also unlike the American Express card, there is no annual fee. Bank of America® cardholders earn cash back rather than points with their purchases: 3% at gas stations (default), office supply stores, on travel, TV/telecom and wireless, computer services or business consulting; 2% cash back on dining (for the first $50,000 in combined choice category/dining purchases each calendar year 1% thereafter); and 1% cash back on all other purchases. New cardholders can earn a $300 statement credit by making $3,000 in purchases within the first 90 days of card ownership. Both cards offer an annual fee waiver the first year before $95 annual fees kick in. Unlike the American Express card, Capital One customers earn cash back, rather than points toward purchases, making it simpler. Capital One® Spark® Cash for Business cardholders earn an unlimited 2 percent cash back on all purchases, which could add up to thousands of dollars to pour back into their business. Plus, new cardholders can earn a one-time $500 cash bonus after spending $4,500 within the first three months. Unlike the Business Green Rewards Card from American Express, the Ink Business Cash℠ Credit Card has no annual fee and offers cash back deals that are pretty robust. Ink Business Cash℠ Credit Card cardholders earn 5 percent back each account anniversary year on the first $25,000 they spend in combined purchases at office supply stores and on cellular phone, landline, internet and cable television services. They also earn 2 percent cash back each account year on up to $25,000 spent at gas stations and restaurants, as well as 1 percent on all other purchases with no limit to the amount they can earn. Your rewards can be redeemed for cash back, travel or gift cards, making this a fairly flexible rewards card. In addition, you can earn a $500 bonus after making $3,000 in purchases within the first three months – something that should be easy given that new cardholders also enjoy 0 percent interest on purchases for the first 12 months (then, 15.49% - 21.49% Variable). The American Express Business Green Rewards Card is great for the small business owner who doesn't quite trust themselves not to carry a large balance and who travels often to take advantage of those membership rewards. A traditional charge card that does require you to pay in full each month, it does allow for building rewards which can be used toward future business travel.